Colic in horses is a general term meaning abdominal pain in the horse. 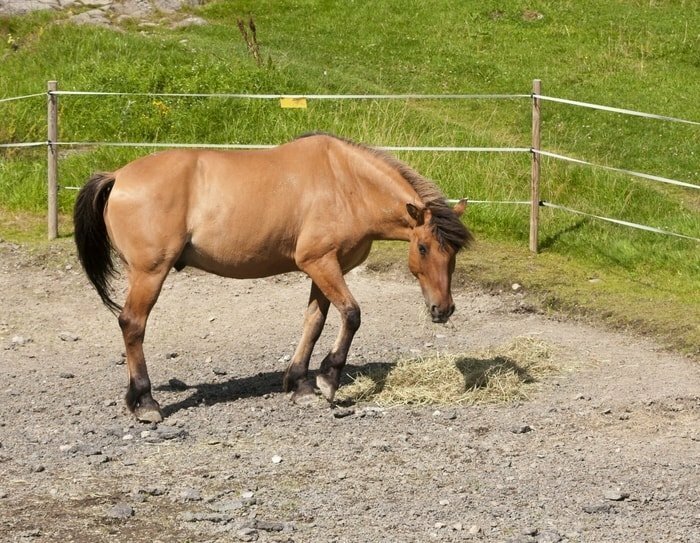 Many horse diseases and disturbances cause abdominal pain. Some are only mild and temporary, others are severe and may progress rapidly to cause death if not treated. It is vital that colic is recognized early and that veterinary help is sought as soon as possible. Whatever the cause of colic in horses, the outward clinical signs are similar, especially in the early stages. 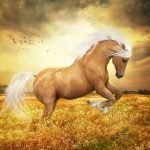 The horse becomes very restless- it pauses at the ground stamps, kicks at its belly, and frequently lies down only to get up again almost immediately. In some cases, the first signs of colic in horses are the failure to eat, lethargy or depression and sweating with the pain. The heart rate will increase, and this can be a guide to the severity of colic. In acute cases, the mucous membrane of the gums become darker and congested. There is usually an absence of droppings, but in some cases, the horse passes more droppings. 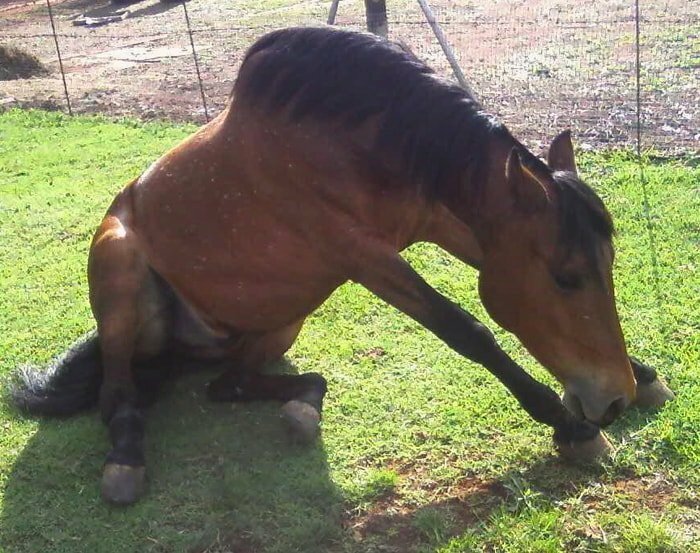 A horse with abdominal pain looks at its flank, rolls, and may lie on its back. It may lie down carefully, “slumping” the last bit, and be very slow to get up or it may assume abnormal postures, often sitting like a dog for long periods of standing with the hind legs stretched out in a “so-horse” attitude. The pain and the appearance of the associated signs are often intermittent, especially in the early stages. The bolts of pain may last for 10 minutes or more. In the most severe cases, the pain is continuous, and signs of shock may appear in addition to profuse sweating, labored breathing and violent, uncontrolled movements which are such that the horse quickly does itself a severe injury. Twisting of the bowels to cause a blockage. 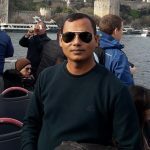 Blockage of the small intestine by a sizeable dry mass of food, foreign objects. Major intestinal blood flow disorder. Colic caused by impaction of the large intestine. Colic is resulting from urinary tract disorder. Colic is resulting from temporary intestinal blood flow disorder. Colic caused by the presence of mineralized aggregation in the large bowels. Verminous Arteritis- Migrating redworm larvae cause damage to the blood vessels supplying the gut. This can lead to blockage or constriction of the blood vessels with the result that areas of intestine receive insufficient blood supply. Mild impaction of the large intestine due to indigestible coarse roughage, heavy feeding, poor condition of molar teeth, etc. This is the most common causes of recurrent colic in horses. Laminitis, urinary disorders, tying up (Azoturia), pleuropneumonia, some poisoning, and diarrhea are all conditions which have symptoms resembling colic. 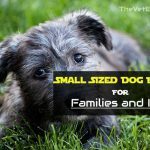 Treatments used by veterinarians varies markedly, depending on the cause of the colic. Surgery may be medical, using certain drugs and mineral oil drenches, or surgical in the case of physical blockages and intestinal emergencies. 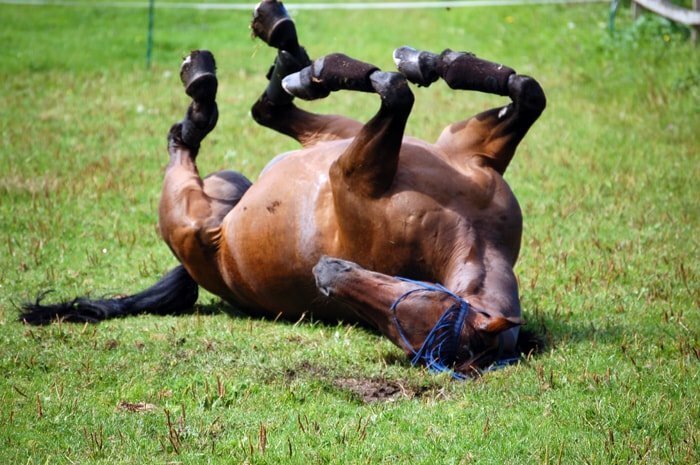 If a horse with colic needs surgery, the sooner it gets to operation the better its chance of recovery. If signs of colic appear and persist for longer than half an hour seek veterinary help. It will help if you can take the horse’s heart rate and look at the color of the gums before you call the vet. 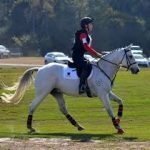 Stay with the horse until the vet arrives and try to prevent the horse from injuring itself or complicating a simple through rolling. 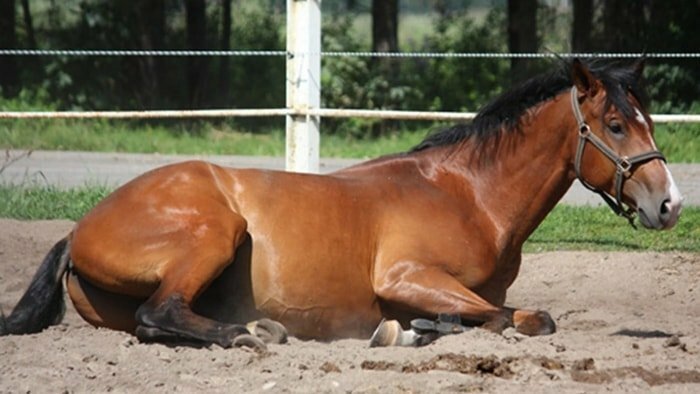 Horses with colic often lie down quietly as this is the most comfortable positions. They can be left in this position as long as they don’t attempt to roll while down. 1. 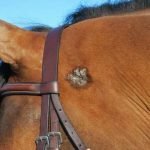 Poor worm control is the most common causes of colic in horses. 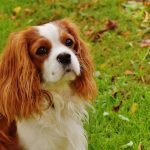 Regular worm treatment and a program to reduce worm intake will minimize this problem. Your vet surgeon can advise on a worm control program. 2. 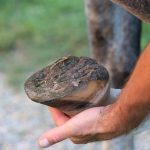 Care of your horse’s teeth to prevent them from becoming too sharp or worn will ensure that it can adequately chew dry feed; these will reduce the likely hood of large masses of roughage building up in the intestinal tract. 3. See that there are no foreign objects in the horse diet when you are hand feeding and avoid giving horses a large feed or drink immediately after strenuous exercise because these could bring on a mild bout of spasmodic colic. Change feeds gradually over 7-14 days and doesn’t let a horse gorge on grains. 4. Spasmodic colic is often brought about by irregular and excessive feeding and exercise. Sand accumulation can be prevented by using feed beans and hay racks and giving regular oil drenches. Colic is mainly a managemental disorder in horses. 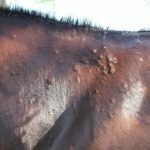 If you are not noticed further, there may be affected by secondary infections, and ultimately the horses have gone beyond the control. 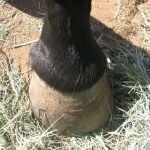 Most of the conditions you can prevent follow the routine procedures and horse care. So try to take care of your horse by yourself and keep in touch with your vet. The piece of information related to equine colic definitely helps you a lot and enrich your knowledge. 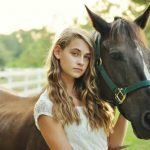 Please subscribe to our website and share with other horse owners by social media.